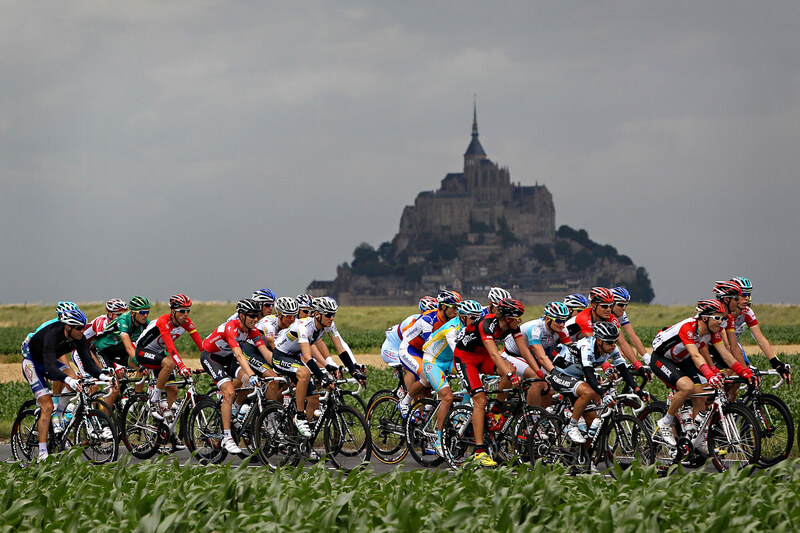 On Wednesday, July 8, to be held on the fifth stage of the Tour de France by 2015. This relatively flat ride 189.5 kilometers. Start in Arras and the goal is in Amiens. 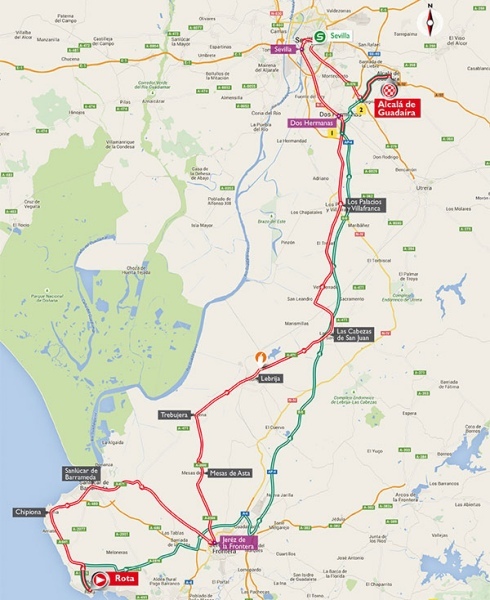 The riders are favourites for the victory in this drive through northern France? 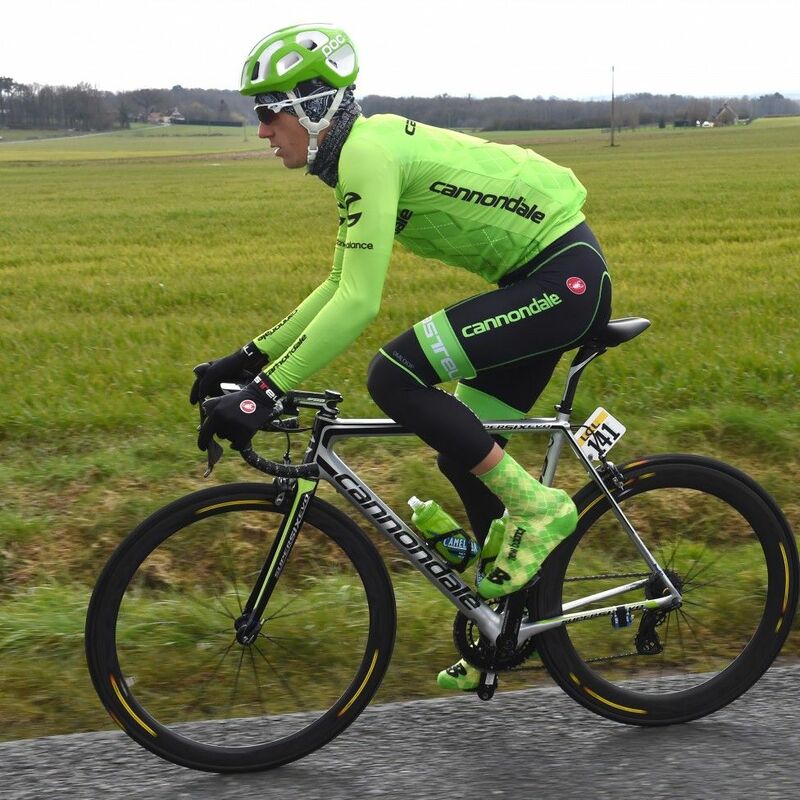 The rider has won the Tour stages in the past, which ended in Amiens? Arras is a northern French town with around 40,000 inhabitants. Previously belonged to this city and region in which it is to Flanders. The Dutch town of Arras was Arras. This city is of course best known for “the Union of Arras” as it was closed during the eighty years ‘ war. When this Alliance was, Arras was therefore one of the “Spanish Netherlands”. This lasted until 1659, when this place was a French town, because of “the Treaty of the Pyrenees. Arras is the birthplace of Maximilien Robespierre, French revolutionary infamous. After the French Revolution, he was responsible for a big terror, with a large number of deaths fell. The caravan of the Tour de France was in the past, often in Arras. Arras in 1991 was the beginning of a journey to Le Havre. This was a celebrated stage because Thierry Marie this whopping 234 km solo ride horseback riding and eventually won. 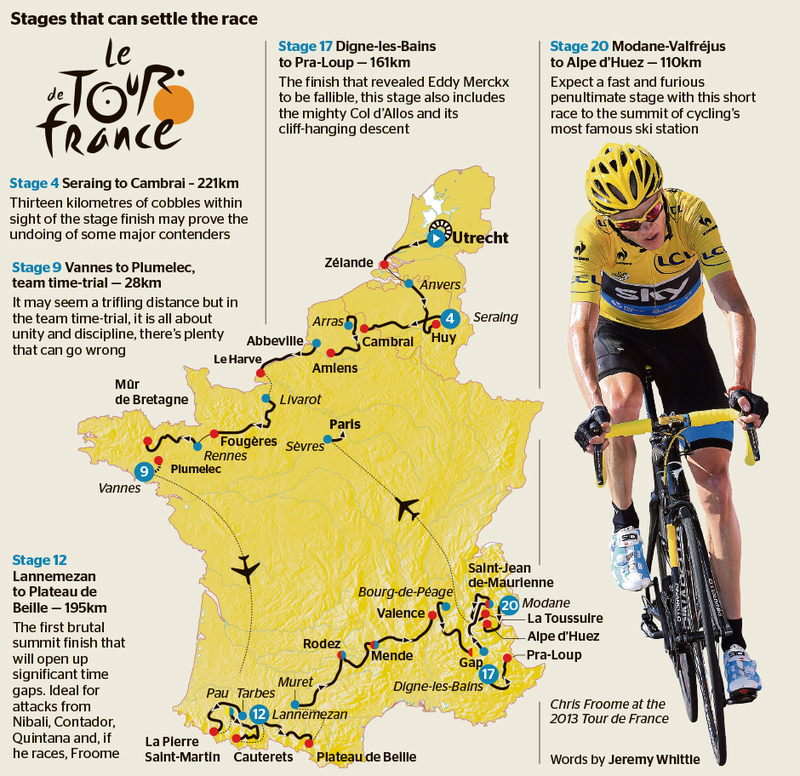 This is one of the longest successful solo in the history of the Tour de France. In 2004, Arras was the finish of a team time trial was won by US Postal. 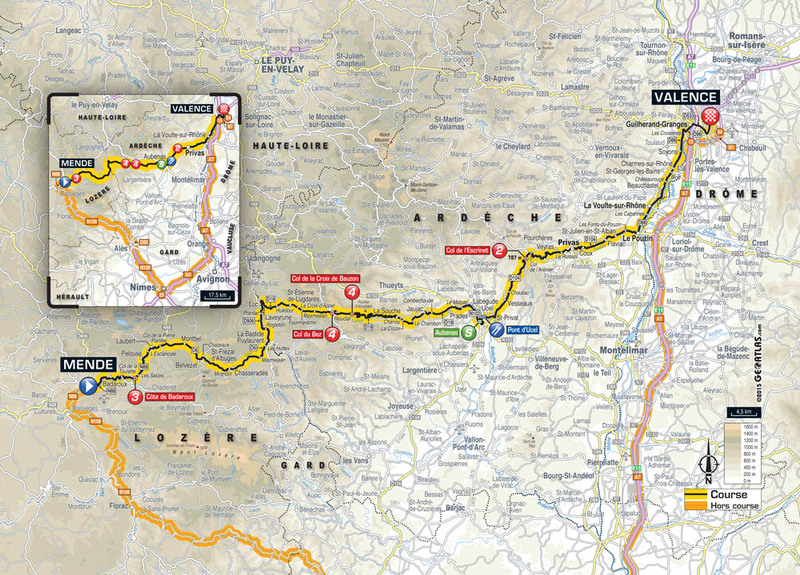 In 2014, Arras was the starting point for a tour stage which ended in Reims. This stage was won by German André Greipel. Amiens is the capital of the Picardie region. The northern French city has about 130,000 inhabitants.The most famous building in this place is Notre-Dame d’amiens. This is the largest Gothic Cathedral in France. The writer Jules Verne settled in 1871 in Amiens. He would spend the rest of his life. Verne also sat for years in the City Council of Amiens. As a tribute to this author is ‘ stone Circus ‘ in the city named after him: “Cirque Jules Verne. Amiens was the birthplace of Philippe Gaumont. He rode for Cofidis this year. His greatest achievement was the victory in the Ghent-Wevelgem in 1997. The name Gaumont, however, also linked to a series of doping scandals. In 2004 he ended bicycling. Gaumont 2005 published book “Prisonnier du dopage”, where he talks about his doping. Gaumont was struck in april 2013 by a heart attack. As a result, he fell into a coma. He died on May 17, 2013. 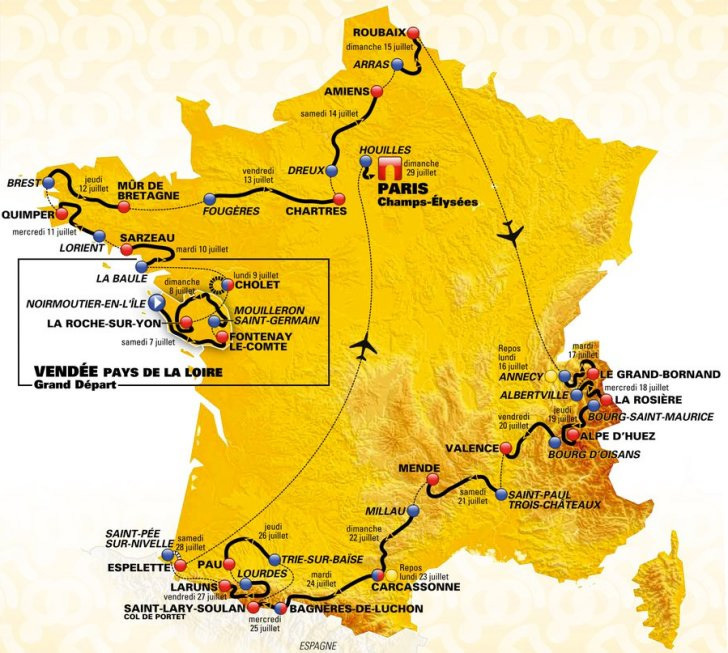 Amiens has been nine times before the ending date of a stage in the Tour de France. In 1932, André Leducq was the first winner of a Tour stage in Amiens. Then rides that finished here won by Rudi Altig, André Darrigade, Marino Basso, Joseph Spruyt, Eric Leman, Ronald White, Johan Bruyneel and Mario Cipollini. 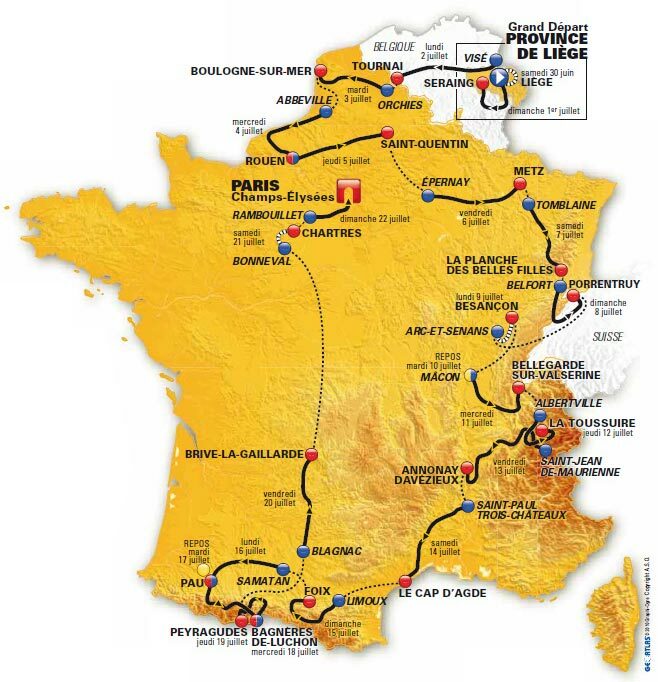 This fifth stage of the Tour de France has a length of 189.5 kilometers. The course is relatively flat.At about one kilometer from the finish, the road is uphill at this stage, but is normally unlikely to be heavy enough to kick sprint of the best sprinters confused. 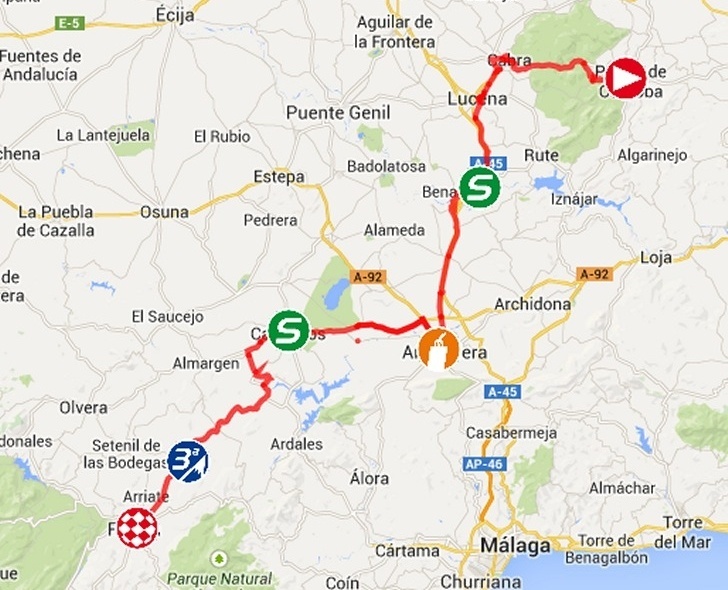 The unofficial beginning of this journey is at 0:45, when the official start at 13.00. The intermediate sprint at this tour takes place in Rancourt, after 89.5 km course. The finish is expected around 05:15. 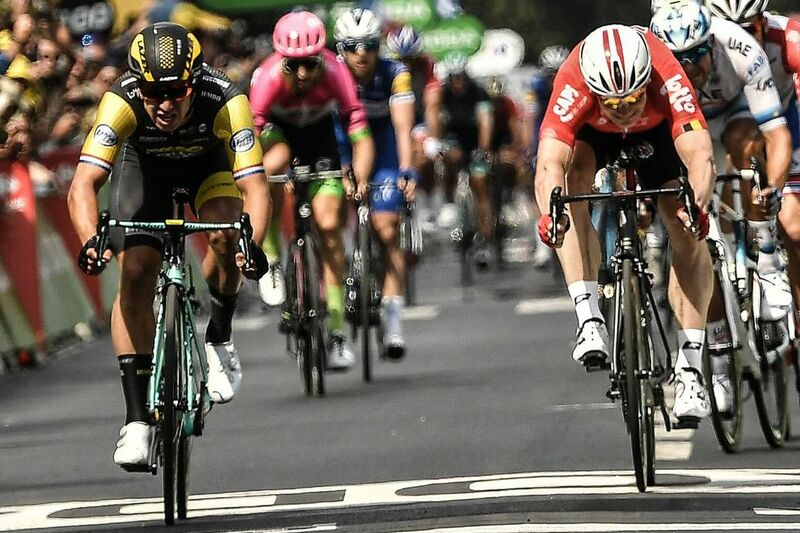 Since this stage end up probably in a bunch sprint with the best sprinters should be considered to take part in the Tour de France in 2015 to the major contenders for the victory scene: Mark Cavendish and Andre Greipel is the Favorites. Other content includes Demare, Degenkolb, Kristoff and saga. The Frenchman Bouhanni, who in the past were also among the contenders, fell heavily during this stage and was forced to retire. This stage ended in a mass sprint. The German André Greipel won the sprint and thus took his second stage victory in the Tour de France. Peter Sagan was second. Mark Cavendish was third. German Tony Martin retained the yellow Jersey. 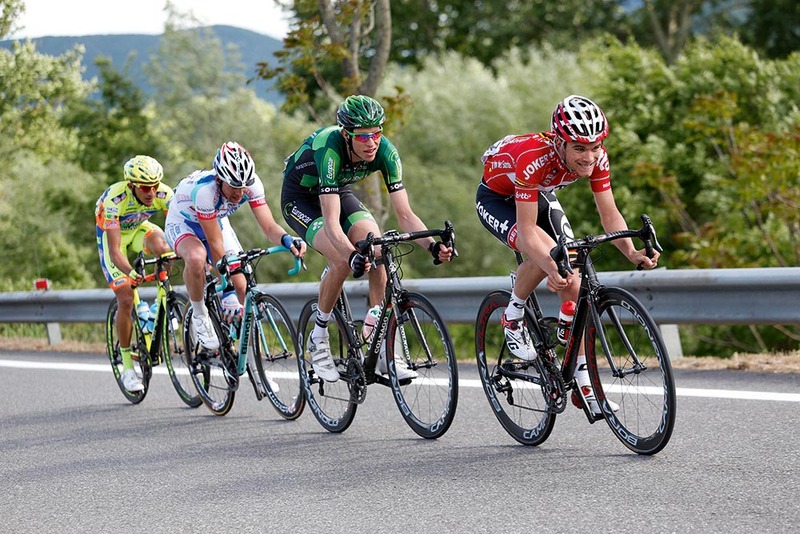 During this stage the peloton broke into two parts. The other platoon would never come back to the first squad. The second group was finished many hours behind the first platoon. All major classification riders was in the first peloton. This phase will be televised live by both Dutch and Flemish public service, but also by Eurosport. 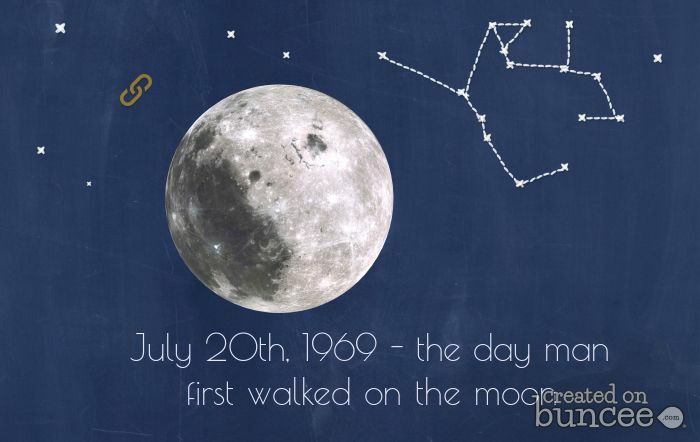 The live broadcasts start at around 14h10. 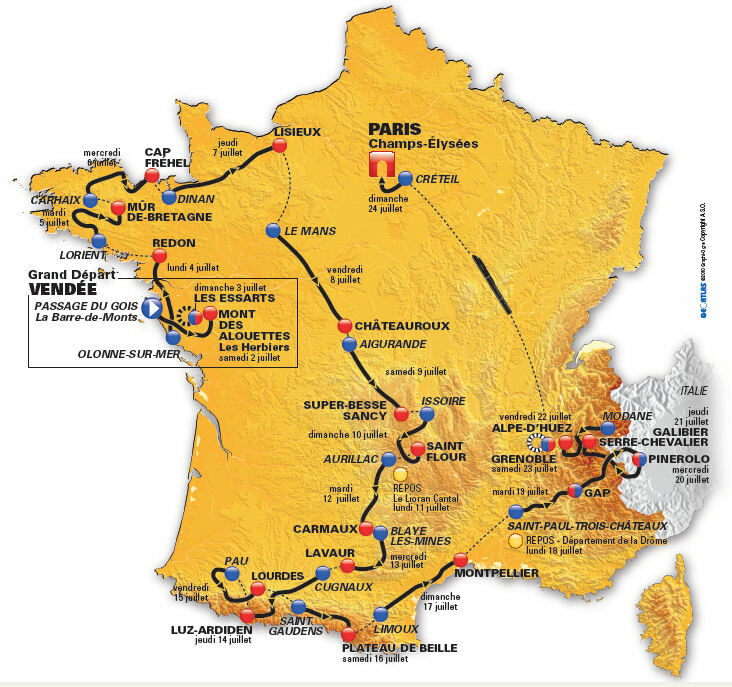 The next stage in the Tour de France is the sixth step from Abbeville to Le Havre. The length of this trip is 191.5 kilometers. 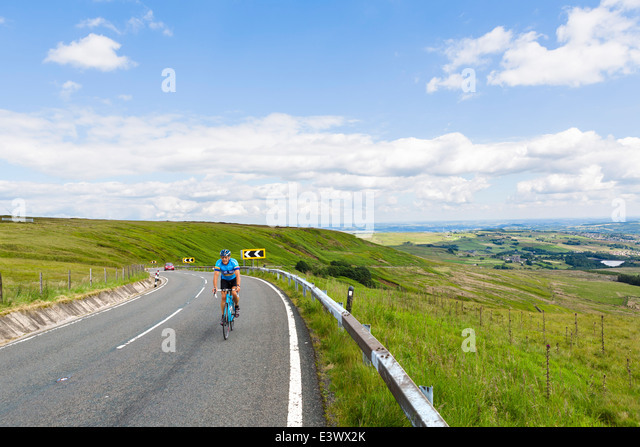 It is a relatively flat stage, although there are some hills on the course.In particular, a hill in the finale of the ride to be interesting for the story contest in the sixth stage. Marcia Prado – Cicloturistica route is this Saturday! Get Ready for the Route Marcia Prado in Handy!